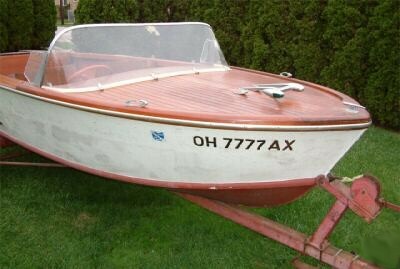 I cannot imagine many of these still exist. 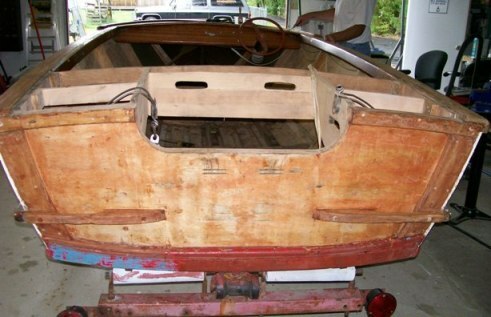 Please take a moment and view the many pictures of the restoration completed during the final 8 weeks of the 2008 summer here at Indy Covers. 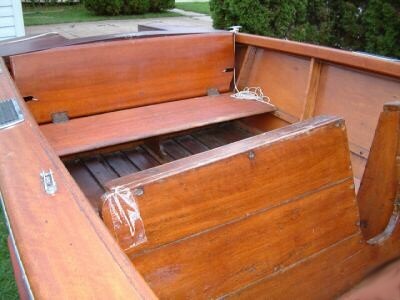 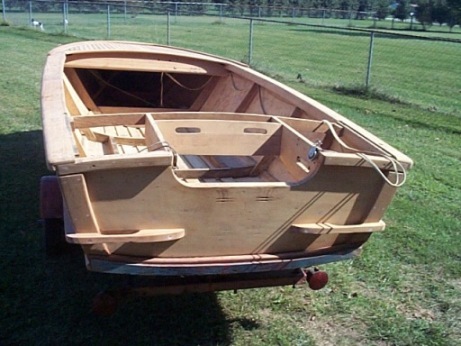 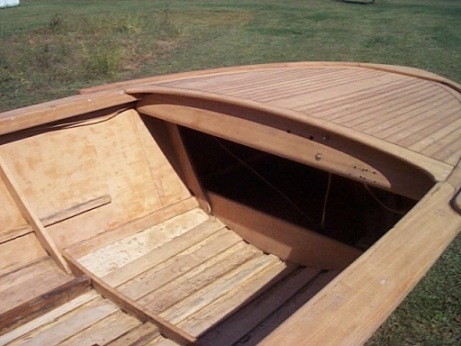 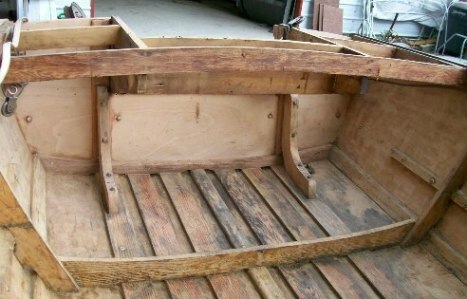 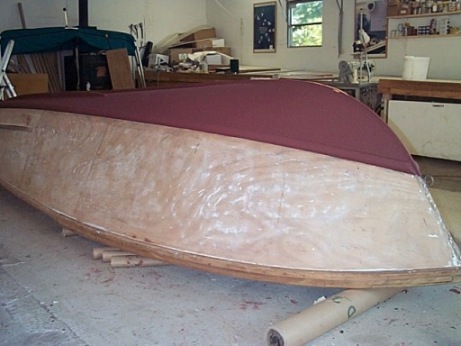 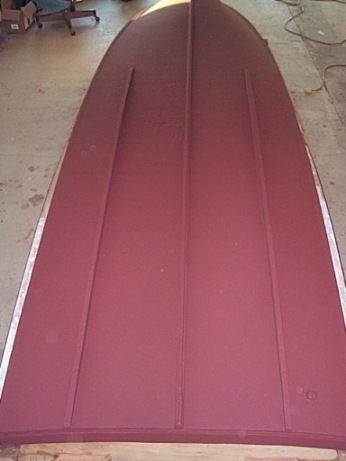 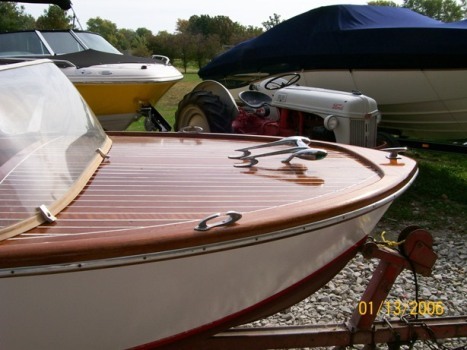 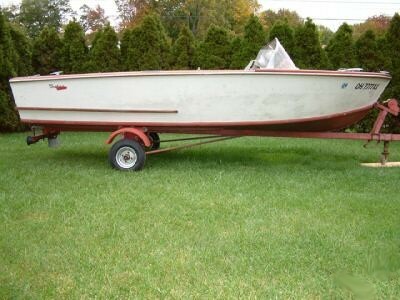 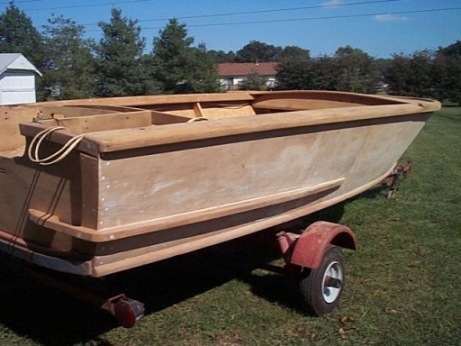 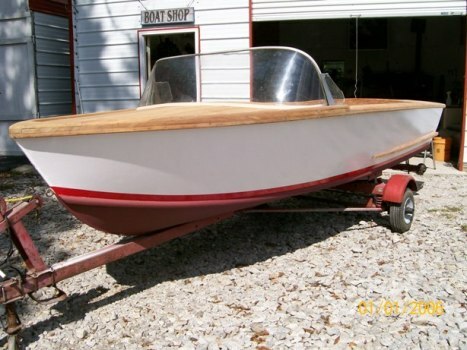 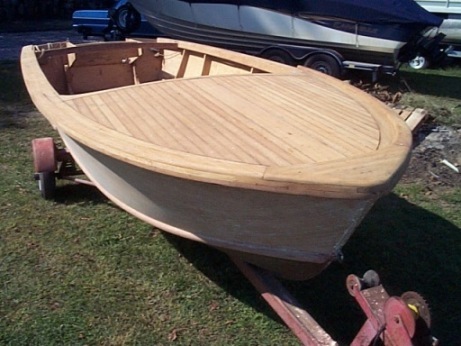 This plywood construction boat was delivered with nearly all original.components The windshield was one item discovered damaged and we were extremely lucky to have replaced it with an identical one found on eBay! 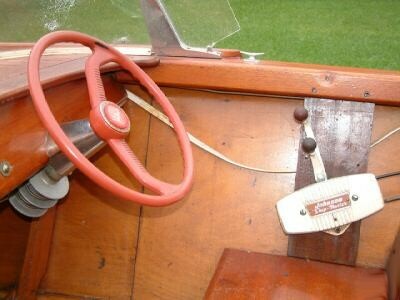 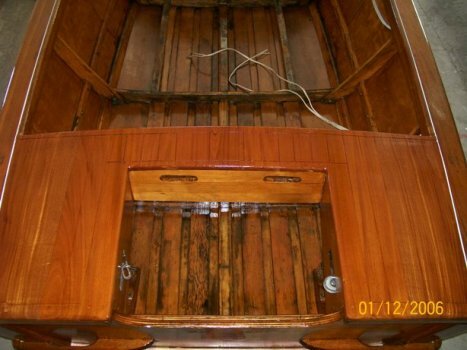 The only other item missing was the aft deck that was created from solid mahogany to match the forward deck. 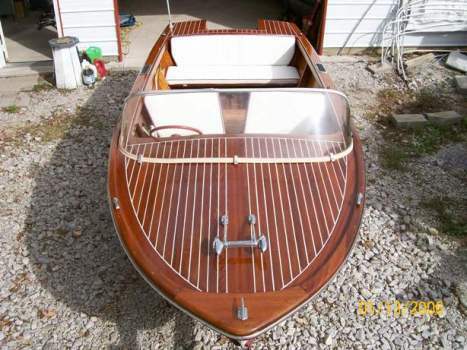 Another wood classic preserved for future generations. 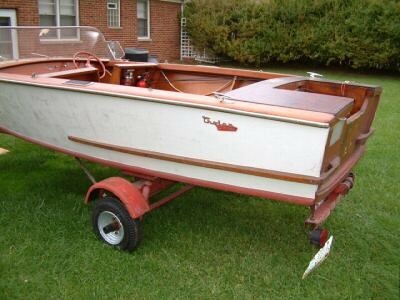 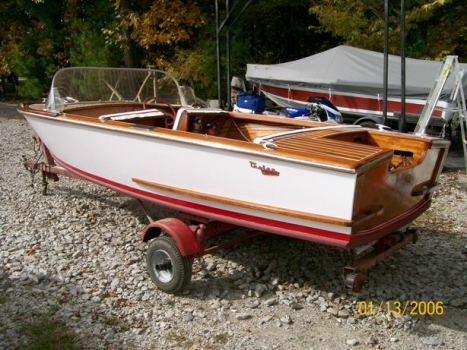 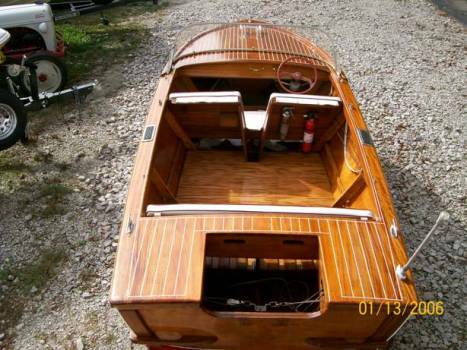 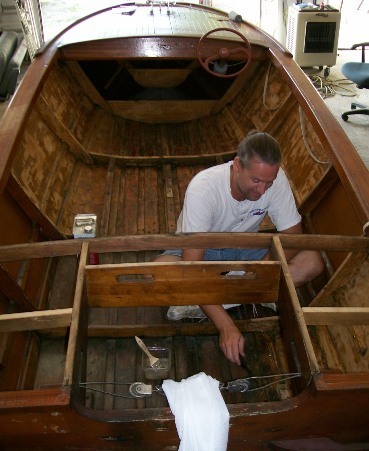 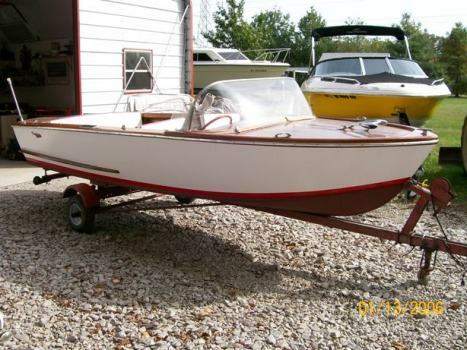 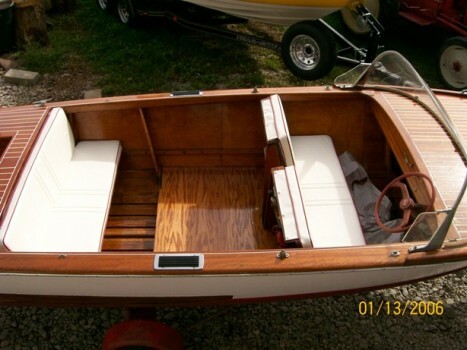 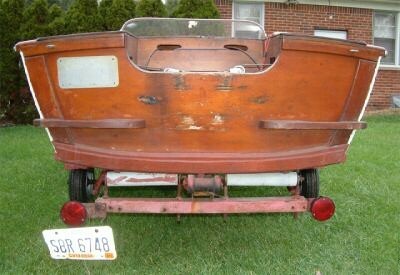 We are extremely grateful to Mr. Marrocco for allowing us the opportunity to restore this classic boat. 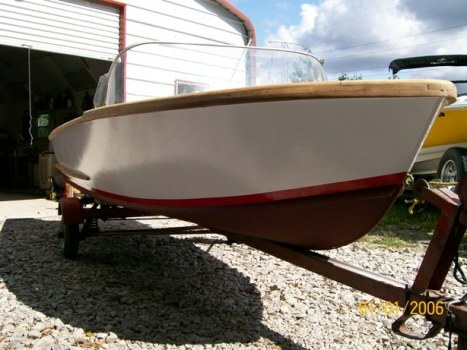 She sure is a beauty! 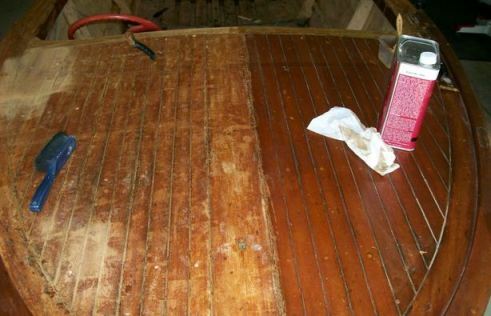 All old varnish was chemically stripped before sanding.